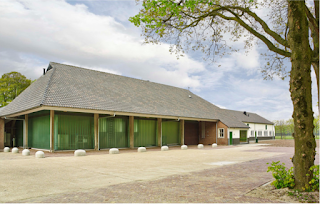 Koningshoeven Abbey, the home of the La Trappe beers, was once the only Trappist brewery in the Netherlands, but it now has a younger Dutch sibling. 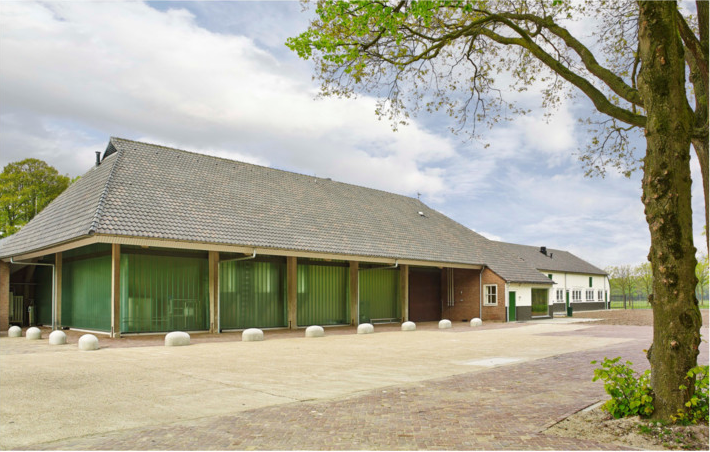 This is Brouwerij de Kiewit (Lapwing Brewery) at Abbidji Maria Toevlucht (Mary the refugee), whose Zundert Trappist ale launched in 2013. Unlike La Trappe but like most other Trappist beers, Zundert is actually brewed by monks, not by monastery employees, although one consequence is a limitation on production, as Henri Reuchlin – the consultant and beer blogger who helped set up the brewery – explained in a presentation to this year’s European Beer Writers & Bloggers Conference in Amsterdam. The monks’ attitude is “We brew for a living but we don’t live for brewing,” he said, adding that they therefore decided to brew just once a month so it didn’t cut too much into their other activities. To compensate, they installed a far larger brewkit than they’d otherwise have needed. This lets them do a month’s worth – currently 250hl – in one go, leaving more time for monking, plus of course they only need one fermenter rather than the several that a secular micro would install. Initially the site was run as a monastic farm, having been given to refugee monks from France in 1899. However, a century later, fewer and fewer novices were entering the monkish world. With the number in the community declining and their average age increasing, the monks decided to sell their livestock and land – the latter becoming a nature reserve – and find other ways to ‘worship through work’ and make some funds. Although brewing was an obvious option, and they could send two brothers to train with other breweries, what to brew was less obvious. There being no local tradition or historic recipe to work with, they decided to invent one. “We gave a table of monks many samples to try, from Gueuze to Rauchbier, and asked them their preferences,” explains Reuchlin. “The first thing they agreed on was the copper colour. 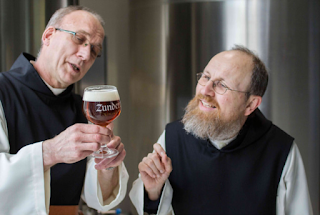 They also decided on brewing only one beer, and they didn’t want to copy an existing beer.” They nodded to Trappist tradition as well with its locally-inspired name and simple label design, which features a lapwing and other designs copied from the abbey church. They also needed somewhere to put the brewkit, and a disused barn was an obvious choice. It is a historic building though, so all its internal features such as roof trusses had to stay visible, and the nature reserve gave them a limited building season – they couldn’t build in Spring because the birds were breeding, nor in Autumn when it was the turn of the bats! 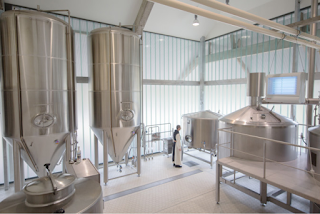 They got it done though, and the resulting brewhouse is a gem, with translucent plastic walls that admit plenty of light yet leave the wooden structure intact. Inside gleams a huge modern brewkit in shiny steel – sadly we can only glimpse it in photos, as the brewery (like certain others of its Trappist siblings) is not open to the public. Its one product is a warming 8% brew somewhere between a Dubbel and a Tripel, bottled offsite and best served at 10-14C, according to its brewers. “We originally said 8-10C, but decided warmer was better. At a warmer temperature it develops from sweet to herbal spiciness,” Reuchlin says. And pretty good it is too, with that spicy-hoppy note balancing sweeter caramel and dried fruit.